You Think Office Work is Different? You Are Right. Reading Dilbert or watching “The Office” or “Silicon Valley,” humor based in the reality of today’s office work, confirms that even if knowledge work is supposed to feel like a well-oiled machine, it rarely does. Intellectual work is filled with piles of email, random meetings, highly variable activity, complex collaboration across many functions and performance reviews that put the burden of organizational chaos on individuals. Intellectual work is different. But contrary to the argument that process improvement “only works in the factory” my experience is that, when properly applied, the concepts and principles underpinning Toyota and Lean methods produce more powerful results and far more quickly in the office. Unlike physical work, intellectual work is infinitely compressible and can be quickly improved. The problem isn’t the techniques, it is the metaphors used to guide them that take people down the wrong path. "Metaphors help us understand the world in powerful ways. A restaurant captures the dynamics of intellectual work better than an assembly line and yields insights for quick improvement," Don Kieffer, ShiftGear Founder. Imagine the manager of a very successful fast food chain who gets a job at the city’s most popular 5-star eatery. After 30 days on the job, he calls a team meeting and says, “At my previous job, we served food in under two minutes. I am very frustrated with your poor performance of taking fifteen to twenty minutes. Starting today we will serve the food in under two minutes.” Sounds silly, but we see the same mistake every day when people try to take factory tools into the office. Switching from an assembly line metaphor to a restaurant metaphor helps to focus on the underlying principles of good work design and make improvements that fit the work. When you place an order at McDonald’s, how long do you wait before deciding they are taking too long to deliver the food? Two, maybe three minutes? What about ordering at the best restaurant in town? How long is it before you start looking around, feeling that the kitchen is running behind? Twenty minutes? Although the rule for serving food is different in each case, the principle of delivering to the customer expectation is the same. The principles show up in different ways in different restaurants. In a restaurant, the chef does not know exactly when a customer will walk in or exactly what she will order, so demand can be highly variable. But the chef does know the customer will order from the menu during hours the restaurant is open, and that aggregate orders can be predicted with enough accuracy to organize the supply chain. The kitchen, supply chain, staffing, hours of operation, etc. are all designed around a combination of requirements for a particular type of restaurant. The point of fast food is to deliver a limited menu in just a few minutes; a 5-star restaurant offers a more complex array of food, but you are going to have to wait longer to get your order. The key to a successful restaurant is designing the system to deliver the right menu in the right way. At a top restaurant, I want to have some conversation and finish most of my martini before the food arrives. If the manager uses the wrong metaphor to guide improvement efforts and decides to deliver the food in two minutes, he pushes the entire enterprise to failure. Not only does he not see the unique features of this restaurant, he mistakes a work design issue for a performance management issue and initiates an intervention that will be unsuccessful and short lived. In many businesses, this begins a parade of the “program of the month” initiatives. At Harley, we called these AFPs: Another F(ine?) Program. Engineering, Finance, or IT can’t be standardized in the same way as a production operation. But it can be understood and dramatically improved through Dynamic Work Design. Just as you don’t go to McDonald’s and order a martini, you shouldn’t ask accounts payable for a new product design. In restaurants and offices alike, the menu of outputs is known and there is a defined scope. There is also repetition, but it is over larger periods of time and with higher, but knowable variation. You can’t always control the input demands from your customer or your boss. But with some investigation, much of the output expected from a group of intellectual workers over a period of time can be understood. The work design can be improved, producing better, more predictable, high-quality results in a way that fits naturally with the way the work is done. R&D has a different customer response time, mix of creative and standardized effort, and a different kind and frequency of interaction with the management system than the group processing purchase orders and invoices. If you accept the fact that they are both restaurants, just starkly different types, the principles of Dynamic Work Design can help you quickly improve both using similar thinking. 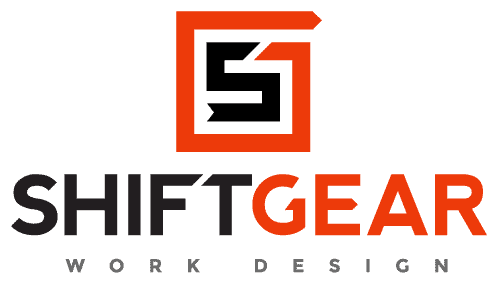 ShiftGear’s approach is to understand the work using principles of work design, propose tools/methods that fit that work, and engage the people doing the work to quickly discover the next best way, not impose it upon them from a different kind of work or organization. What type of restaurant are you running? What’s on your menu? Can your “kitchen” deliver on time with high quality and low cost? If not, start by evaluating your work against the 4 Principles and start eliminating Dilbert behavior from your organization, or call us for a two-day onsite evaluation of your opportunities. As a side note, my friend Joe Bartolotta designed and owns many of the best restaurants in Milwaukee and is largely responsible for this insight. He heard me talk about my work many times and several years ago asked me to take a walk through one of his kitchens and tell him what opportunities I saw. Joe didn’t know anything about lean, heijunka charts or pull, and never read a book about Toyota. But I was surprised to see that the kitchen had perfect “one piece flow” and “Kanban” procedures. Joe doesn’t start cooking a steak until the customer orders it…and he didn’t learn that from Toyota. On the other hand, during our walk we were able to point out excess inventory in his wine cellar. He fixed that over the next few months with a simple inventory system and dropped a chunk of change to the bottom line. He still doesn’t understand “pull” but somehow executes it perfectly every night in every restaurant. Follow ShiftGear on LinkedIn for regular updates and tips.